A common problem in sectional title schemes is owners who illegally extend their sections. 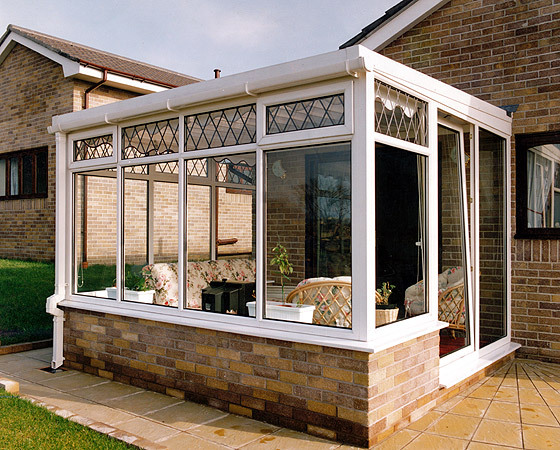 Probably the most typical example is enclosing patios, but often illegal extensions encroach onto common property. So what does this illegality mean and how does it happen? There are two elements to extending a section legally: getting the required permissions and completing the process of building and registering the extension. Both the local municipality and the scheme have to approve the building works involved in the extension of a section. The municipality considers things like zoning, coverage and floor area ratios in respect of the site and building, whether the extension affects water or electricity reticulation and all those sorts of town planning issues before it will approve a building plan. And just about any kind of construction requires an approved building plan. The body corporate of the scheme has to take a special resolution to approve an extension. Owners need to be properly briefed before voting. There are various things to consider: how will the extension look? Does it fit into the overall appearance and design of the building or buildings in the scheme? What about parking? If an extra room is being added, will an additional person be living in the scheme and using its facilities? What would the effect on the scheme be if other owners wanted to do the same thing? What if all of them did? If there is a bond on the unit, the owner must get the bond holder to consent to the change and if the extension will change that section’s participation quota by more than 10% – which it usually will do – all the bondholders in the scheme must be notified of the proposed extension and given the opportunity to withhold consent. Once the building work has been completed, the owner must appoint a land surveyor or architect to prepare a draft sectional plan of extension of the section and get it approved by the Surveyor General. Once approved the plan must be registered at the local Deeds Office. It is quite a difficult, time consuming and expensive process, one can see. Which, I guess, is why so many sectional title owners simply don’t bother or deliberately avoid doing it. In theory no building works should take place until the required special resolution is taken, bondholders have consented and the building plans are approved by the local municipality – but of course they do. There is also the very strong possibility that this is because the owner concerned does not realise there are these legal requirements for the extension process – and neither do the trustees in the scheme, so no one steps in to prevent the illegal building operations or to straighten things out once they are commenced. Quite often the owner gets the required approvals and completes the buildings but does not register the extension. The other owners in the scheme suffer because it is only once the extension is registered that the new participation quota comes into effect, and the owner who extended his section pays a greater share of the levy and the other owners pay a little less! In phased developments, the developer is allowed only 90 days to register the sectional plan of extension after a new section is sufficiently complete for occupation – after that a levy must be paid on the new section even if the plan is not registered – but there is no similar provision applying to owners who extend their sections. So it is up to the trustees to be vigilant and to make sure the owner registers the extension within a reasonable time. One way of addressing this issue is for the special resolution that approves the extension to be made conditional on the owner agreeing to pay increased levies from a fixed date, whether or not the sectional plan of extension is registered. 10 years ago an owner extended their section, but got BC approval, and plans were approved by the local municipality, but they did not comply with getting a land surveyor or architect to prepare a draft sectional plan of extension of the section and did not get it approved by the Surveyor General, and nor has it been registered at the Deeds office. After 10 years, are the trustees compelled to get it done correctly, and also can the present trustees be held responsible for what happened 10 years ago? Thank you for your comment and trust that you were helped by Timothy this morning. Should you require any other legal assistance, we offer consulting via telephone for R490 for 10 minutes. Please call us on +27 21 686 3950. Thanks for your question. The current registered owner would be responsible to ensure compliance with the Sectional Titles Act. However, the current owner may have a claim against the seller, should they not have disclosed this non-compliance. But if an owner adds a courtyard, with high walls, a gate and paving inside, on the common property, what is the situation? The courtyards are approximately the same size as bedrooms, so significant areas of common property were used. Now all the downstairs unit owners have done the same, they do not pay extra levies, and the upstairs units have no extra space. There are 16 units, with 8 ground floor and 8 upstairs. No trustee meeting minutes are available. Owners having built an extension can be charged at the same rate per sq mt as the unit levy for their extension. Once they have occupation they must be charged and when they have the extension registered then they will pay per PQ whilst the others will pay slightly less. This entry was posted on February 9, 2015 by Paddocks in Bedroom, Legal, Lifestyle, Lounge, Mindful living, People, Uncategorized and tagged common property, enclosing patios, extensions, illegal extensions, levies, registering extension, special resolution.